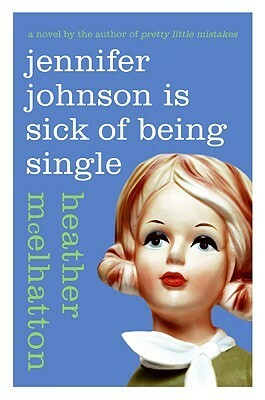 Goodreads: Quirky, clever, cubicle-bound Jennifer Johnson is desperate. Everyone around her is getting married, while she's still single and stuck writing ad copy about men's dress socks. Darkly funny and outrageously honest, McElhatton's wit shines in this no-holds-barred cautionary tale about getting what you want--and how it can be the worst thing for you. Kritters Thoughts: A chick lit book that didn't hit all the notes for me. The concept of girl meets boss' son and falls head over heals was great and unique and different, but the character that exudes negativity just didn't do it for me. All of the characters were funny and entertaining - they had qualities that weren't appealing either but it wasn't pure debbie downer. Throughout the book I kept rooting for her and wanting her to find joy, but with the title as it is, maybe I was wanting more than it would be able to deliver. I kept loving the plot and storyline and wanted the character to go somewhere, but it just didn't take off. As I knew I was reviewing the sequel, I kept the hope that the second book would take this character to another level. I will be reviewing the sequel on October 10th.